Lees, Hanlon (1833-1868): The Hanlons practiced “entortillation”--tumbling, juggling and knockabout. There were three brothers at first who trained with John Lees and debuted at the Adelphi in 1846. After the death of Lees, all six brothers performed under the name Hanlon-Lees. 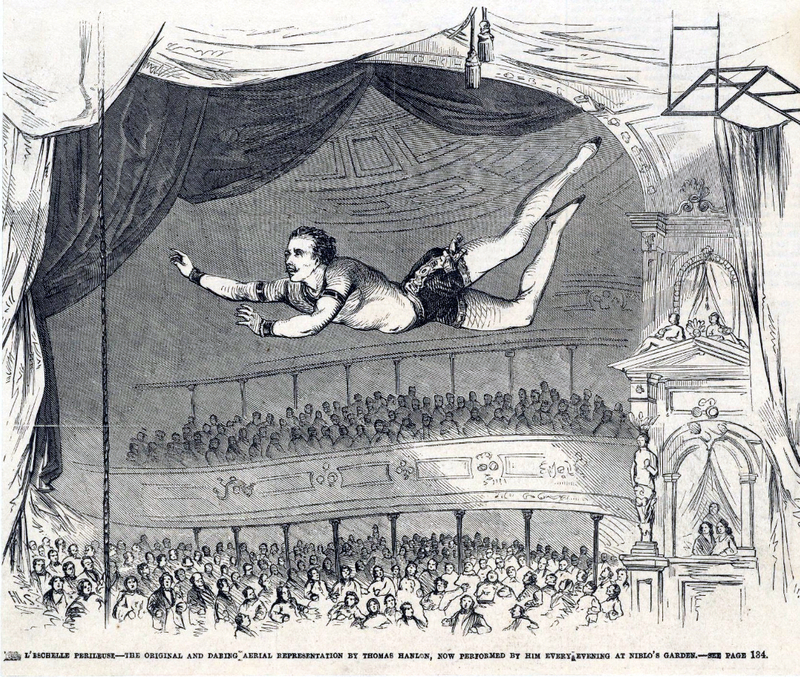 They embraced the trapeze when Jules Léotard introduced it at London's Alhambra Theatre in 1861. They perfected the safety net after Thomas fell. He later committed suicide.